Ultimate Robot Kit-Blue from Makeblock – a comprehensive robot kit for beginners and experts alike. 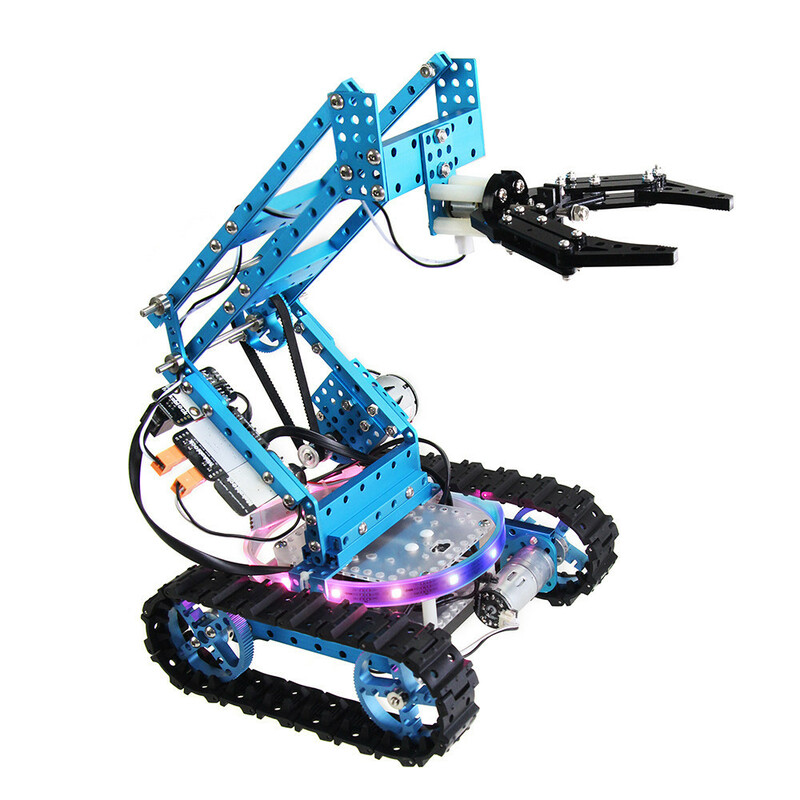 It includes everything you need to construct your next robotic project – metal geared motors, Arduino-compatible controller, programmable RGB LED strip, different kinds of sensors, robotic gripper and other mechanical parts. It is also great product for learning Arduino and Scratch programming. There are more than 10 different robot models that you can build using this kit!